So You Think You’re A Disrupter, Eh? Seems like everyone wants to add “disrupter” to their resume. Measuring up’s no cakewalk. 77 million dollars over seven years. That’s the payday for John Tavares, Toronto Maple Leaf’s newest wonder boy. For a team that last won a Stanley Cup when Canada turned 100 (1967, over half a century ago! ), disruption doesn’t come cheap. Let’s see if you’re just a fancy skater or a real disruptor. Egos put your hockey pads on; you’re in for a brutal hip check. Think Toronto went wild when Tavares signed on? Should have seen Vegas. The strip shook from bookies scrambling to adjust Stanley Cup odds. That’s the kind of impact we’re talking about. If all you do is boost sales somewhat, cut costs a bit, or increase productivity a little, you’re merely earning your keep. Take more significant risks, the chances of failing – bigly, expensively – go through the roof. Players like Tavares whiff on plays far more than they score. Ask him (from a safe distance) about his worst ever season start in 2013, a year he was haggling a new contract with the Islanders. Luckily he turned things around and got an extension. Unless you’ve failed humiliatingly, even career-haltingly, at least once, you’re not a disrupter, or you haven’t played enough seasons. Any colleagues ever despise you for being bold and daring? 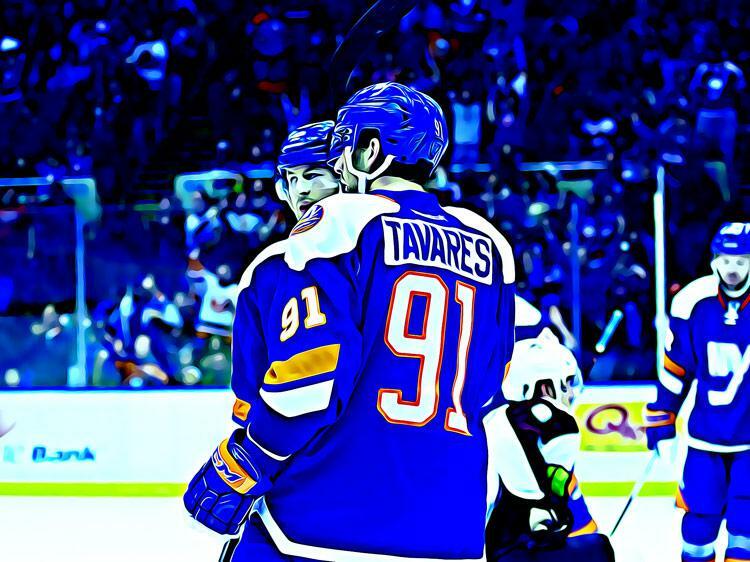 Serious New York Islanders fans chafe at Tavares changing jerseys. It was an audacious free agency dash. Maybe you’ve also ruffled a few feathers. By “forgetting” to ask permission on that new project. Going over someone’s head to snare funding. Secretly working on something only you and the boss knew about. Well done. You haven’t had to deal with an insanely jealous coworker sabotaging you though. Or been trashed by local papers as a turncoat. Keep at it, there’s hope. Silicon Valley’s where the term “disrupter” came from. You know, Uber disrupted the cab industry. AirBnB did the same to hotels. Previously employees who didn’t take no for an answer, and got things done out of the box, were called intrapreneurs. See if their traits ring a bell. Innovators? Check. Doers? Check again. Astute at company politics and creating/leveraging allies? Checkmate. Ask your boss if they consider you an internal entrepreneur. Do it in private, so their laughter won’t disturb the real visionaries. If you put “disrupter” into your resume, back it up. At 27, Tavares can claim 272 goals, 349 assists to date, and an Olympic gold medal. Not a bad start. Try job searching like an NHL’er, What quantifiers will support your contention of being a change agent? Smallish numbers put you on thin ice. Better to stay humble lest you make resume-readers holler too.